How Much Does It Cost To Declaw A Cat At Petsmart? How Much Does It Cost To Declaw A Cat At The Humane Society? How Much Does It Cost To Declaw A Cat At Petco? How Much Does It Cost To Spay And Declaw A Cat? Where Can I Declaw My Cat For Free? How Much Does It Cost To Declaw A Kitten? How much does it cost to declaw a cat is one question asked amongst feline parents who for one reason or another wants their cats sharp fingers taken away. Declawing your cat is an emotionally debated topic; a lot of people recommend it when you have cat trouble and other just frown at it. You, like many often think that declawing is a fast fix for unwanted scratching or attacking. Remember claws are the first-line defense of cats and clawing is a healthy and natural behavior of cats. Cat declawing alternatives would be to train your cat to behave in the desired manner. Declawing should be used as a last resort. Even then you may be wondering how much does it cost to have a cat declawed , as your cat is very naughty and will make you work too much. Cost varies in a wide range and many veterinary hospitals are hesitant to give a rough estimate as the charges include charges of recovery period also. Let us see the average cost of the surgery. For countries that allow surgery, the cost can range between $100 to $500. However, there could be more costs in case of hidden complications. Procedural costs vary from clinic to hospitals depending on the experience and prestige of the doctor also on the medical history of your pet. Before surgery takes place, it is important for the doctor to get a complete picture of the feline health. This helps the vet to select an appropriate method to remove the claws. Cost differs amidst clinics. The exam fee approximately ranges from $46 to $47. Cost of the blood work is not included in the fees, it is charged additionally, it will be approximately around $50. A blood test is crucial to determine whether a cat has any difficulty to recover. There are varieties of ways available for declawing. You can choose the best type of treatment to proceed as per your veterinarian suggestion. In most cases, declawing is done only on the front paws. This is one of the methods of declawing your cat. The cost falls between $100-$250. The procedure involves surgical removal of the entire first toe joint that has nail bed. A scalpel is used to sever the bone. This procedure takes more time so your cat will have greater risks of anesthesia. Onychectomy is the most popular method used. Even this procedure includes removal of the entire first toe joint. This region contains the nail bed. Guillotine-style nail trimmer is used for the procedure. This is the fastest way to complete the procedure of amputation. Your cat has a lower risk of spending a long time under anesthesia. Resco Clipper Method is one of the methods with fastest surgery time. Veterinarians use sterilized nail trimmer to cut down the bone of the toe. As a result, the bone from which the claw originates is cat lost. Incision after removal of the claw will be closed using suture (fibrous joint) material or surgical glue. Laser surgery is one of the most expensive methods. Averagely, it costs between $250 and $400. However, the procedure is painless compared to other procedures. The risk of surgical bleeding is also significantly less. However, it is important to know you have approached a vet who is knowledgeable in using the equipment otherwise there is a possibility he burns other tissues during the process. The weight of your pet and length of the procedure determines the usage of anesthetic. Vets prefer this surgery during 4 months of age. However many vets do the surgery up to the age of 5. Amount of anesthetic used and charges may differ with respect to age. Some of the hospitals include anesthesia charges within the total cost. This may elevate your charges from nominal to heavy, it is important to consult your vet beforehand to get to know the exact picture. Any surgery comes with certain risk of infection. Vets prefer using antibiotics routinely to keep the risk of infection lower. In some cases, oral antibiotics are preferred so that it minimizes the further risks of infection once back home. The cost is dependent on the type of antibiotics used. Vets prefer to keep your pet until afternoon after observation once your pet undergoes surgery in the morning. However, if the surgery takes place later and there is need for overnight stay, these charges also add up. In fact, the length if the stay is more significant in the overall cost. The duration your pet should stay in the hospital depends on many factors. If it requires extended treatment, care, and monitoring then the stay continues. Remember if your cat is been spayed or neutered also affects the duration of hospital stay. Obviously, your cat will need some painkillers to recover from the surgery. Some of the painkillers may be consumed orally while some can be injected at the clinic or hospital. The cost of this medication depends on the type of medicine used and duration your pet requires it. Most of the hospitals include this cost within the procedural fee. Few determine the charges as per the need of your pet. Now, that we have answered your question: how much does it cost to declaw a cat, let’s find out how you can select an a quality affordable clinic. This step is important (and makes all the difference). Surgery costs depend on the individuals as the entire procedure is customized as per your pet’s requirement. The reason behind the low cost in some clinics is billing many procedures like medications, blood tests and extended stay separately. Total bill has quite a few hundred dollars less. Your cat actually needs more time to recover than the estimate provided by the vet. So, while it is important to ask him/her, how much does it cost to declaw a cat, it is even more important to enquire precisely more detailed questions. What are the complications and contradictions in the case as of now and likely to arise in the future? You can make enquiry as regards the complete procedure in more clinics and compare them. Chances are, it is most unlikely you will meet the veterinarians without incurring consultation or examination fees. Arm yourself with the knowledge of variable costs and make yourself cautious to discern the additional costs. However, regarding the type of surgical procedure concerned, the competence, the success rate, and efficiency should overrule the list prior to the costing. We understand it is difficult for you to cope with the scratching of the cat. But try doing the below simple tips before opting for a surgery. Be stern and punish your cat for furniture scratching attempts. Exercise care and make your cat understand the act it is up to is punishable. However, make sure you as a person is not associated with the punishment. If you are associated with punishment, your cat may keep away from the act when you are around and go on in your absence. Shaking the pennies within a can or Spanking and yelling at the cat is directly associated with the person and not on the act. Using water squirt bottle is better but only if your cat does not see from where the water comes from. 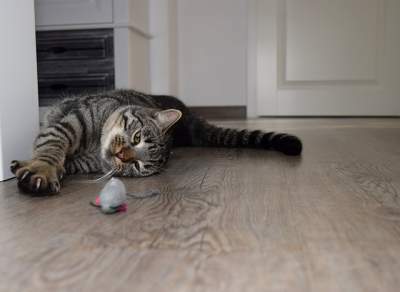 Set up booby traps using balloons so that when your pet approaches the target and is about to scratch, the balloon bursts with a loud noise and releases pressured air. Your pet will be shocked and will be reluctant to repeat the act. Make your furniture undesirable by covering it with aluminium or plastic foil. You can stick the double stick tape on your sofa so that your pet finds it real hard to accomplish its task. Spraying antiperspirants also keep away your pet. Upholster your furniture using tough and unacceptable fabric this can protect from tear and scratches. Trim your pet’s nails and keep’em short. This is adequate control method. However, most of the cat parents are not aware of trimming procedure. Be aware of the process and non-pigmented nails of the cat makes it super-easy to identify where to cut. Place lots of scratching posts in your home. Make sure the posts are tough and tall. The length of the post should allow a cat to stretch 3ft or taller. Rougher posts are needed as the soft and fluffy posts cannot withstand the attack. Cat claws are attached to distal phalanx (i.e the last bone of the toe). Whereas, our fingernails are attached to the flesh of our fingers. In order to remove the claws, it has to go through the process of amputation. Elimiating claws I a complex procedure. Your pet has to wear bandages on its paws until the surgical incisions heal. It is important to restrict the exercise of your cat for one month after the surgery. Replace your cat litter with shredded newspapers to prevent the litter granules entering into the healing tissue. However, your vet may provide you with the required medication to recover. In case of changes in behavior, swollen paws, appetite patterns, bleeding and reluctance to walk contact your vet immediately. Traditional surgery using clipper or scalpel is one of the procedures. Laser surgery is another alternative available. Cats that are young and not overweight can opt for laser surgery. Tendonectomy is the surgical alternative for declawing. The tendons on the underside of the paw are cut instead of removing bones. This causes claws to remain resiled in the paw. If your pet is undergone tendonectomy then there is a need to trim the claws regularly. Enjoying this guide on how much does it cost to declaw a cat? Before you make research on how much does it cost to declaw a cat and actually go through with the lrocess, many vets recommend other alternatives (which we discuss later in this article). You can distract your pet and convert this natural behavior to acceptable alternatives. Vets often advise the owners keep the surgery as last resort. Regular nail trims, scratching posts, using vinyl nail caps, and making furniture unattractive by using deterrents are some of the tips that may work. Effect of Paw claw removal process can weaken the back and leg muscles. As the cat always walks on tips of its toes, the surgery may change the way the cat’s body works. The other complications include nerve damage, bone chips that prevent healing, postoperative haemorrhage, and in case if amputations are not done properly it may result in the re-emergence of claws within the paw pads. You may notice your cat becoming gradually more aggressive once declawing is done. A cat without claws may feel frustrated and bite. Thus may also result in defecating or urinating outside the litter box. The cat may feel shy and become anxious. On the other hand, there are few cats that are just normal soon after the surgery. At times, surgery becomes necessary. There are few cats with several toes that never touch the ground and the claws grew went into her paw pads. In this case, your vet would recommend declawing so that it does not affect the cat. It is in the best interest of the cat. Declawing a cat using one of the two common humane methods often costs between $100 and $250, depending on the vet and which procedure is used. The “Rescoe clipper” method is more common and usually cost lesse because it is a simpler procedure and takes less time. Commonly, declawing cats cost anywhere from $40 to$300, although it may cost $100 or so more if you use laser declawing. Although declawing can help protect your family and home, it should be avoided whenever possible. The procedure is cruel and can result in some serious complications. Declawing a cat using one of the two common conventional methods usually costs between $100 and $250, depending on the veterinarian and which procedure is used. Declawing a cat using any of the listed methods usually costs between $100 and $250, depending on the vet and which procedure is used. The “Rescoe clipper” method is more common of all methods and cost less. Nowhere, you will need to pay to have this procedure done. Do not attempt to declaw your cat on your own when clearly you lack the practical knowledge. The only humane way to declaw a cat is by allowing your vet perform the operation. Should you declaw your cats? What are the pros and cons? Let’s take a closer look. Cat’s that have had their claws remove pose a much lower risk to children and other pets. This is one of the biggest reasons that influence this decision. Aggressive cats that have severe behavior problems pose a safety risk due to their claws. Getting them removed saves these cats from having to be euthanized or left at a shelter because of their behavior. Cats scratch, it is a natural thing for them to do. Expensive furniture often suffers because of this feline trait. Declawed cats cannot scratch up furniture. Thereby saving its owner money! While there are some bad side effects of the procedure, most normal functions can still be performed without problems. This includes climbing, walking, and pad sensations. Due to the fact that the cat can no longer scratch humans and other animals, their relationships with them may improve greatly. You are able to feel a closer bond with an animal that you are not afraid of. Cats that have had their claws removed may feel extremely cornered because their main line of defense was taken. This level of hostility can actually make them act out even more. The hostility and pain that cats typically experience after this procedure can cause severe troublesome behavior problems. Not using the litter box is the most common. This is due to the pain that they feel in their feet, the litter box may make it worse. They will stop using it and this will become habit. When a cat is declawed it is not just the claw that is removed. In order to remove the claw the actual toe is also shortened at the knuckles. This is equal to removing your fingertips. If a cat has serious behavior problems, then declawing may not solve these issues. Cats still have their teeth and back claws to defend themselves or attack with. 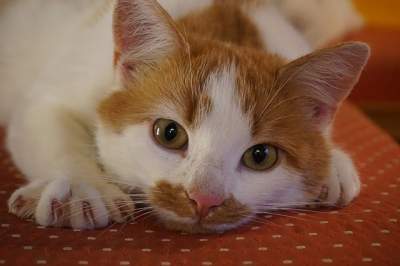 The tendons that are cut during the medical procedure of declawing can cause a cat to develop arthritis in their paws. This is a very painful injury for the cat. The bones that are left in the paw after the procedure can continue to dig into the skin. This digging is extremely painful and can cause serious problems like infections. Scratching is a completely necessary and natural trait of cats. This feline behavior is normal and should not be altered. In many cases, declawing of a cat is not a complete necessity. People often think that it is their only option, but it is often not. There is a very high amount of things that can go wrong during the medical procedure done to declaw cats. This risk is higher than with most other veterinarian procedures done. Cats scratch for many reasons. It is normal feline behavior to help them maintain their nails, preserve muscle tone, defend themselves and mark their territories. There is a common, alternative procedure, to declawing called tenectomy. This involves cutting and disconnecting the tendons that extend the claws out. This also has medical consequences however. Cats, even felines with troublesome scratching tendencies, calm down significantly as they age. So if you cat is exhibiting these behaviors, give it time! There is a rapidly growing number of veterinarians who are refusing to declaw cats. They consider it cruel and inhumane, unnecessary form of mutilation. Here are 5 furniture-saving and cat declawing alternatives or humane alternatives to getting your cat declawed. Cats are opportunists and will always pick the best option if they’re given the chance. Since they’re instinctually driven to scratch, they’ll dig their claws into whatever is available. Adding a scratching post or two to your home can redirect her scratching habits to a more appropriate place. Choosing a scratching post that’ll be more alluring than the side of your couch isn’t always easy but is always worth it!. If you have an indoor cat that doesn’t need sharp claws to defend her against other animals, simply trimming her claws is a great option. Make sure you understand how to trim her claws safely before you embark on this process. If you don’t feel confident that you can trim them without harming her you can get them trimmed by a groomer or your veterinarian. Several companies like Soft Paws make caps that fit over your cat’s individual nails. While wearing nail caps, your cat will still be able to get the stress relief and stretching benefits of scratching. Several companies like Soft Paws make caps that fit over your cat’s individual nails. While wearing nail caps, your cat will still be able to get the stress relief and stretching benefits of scratching without leaving a trace on your furniture. Because scratching is a healthy behavior for your cat, you should only use deterring methods if you’re also providing her with a more acceptable option like a scratching post. Once you’ve introduced her to the new scratching post (and perhaps sprinkled a bit of catnip on it to make it more exciting) you can use tin foil or double sided tape to cover the undesirable spot. They should feel uncomfortable enough on her paws to deter her. Inappropriate scratching can be a sign that your cat is really stressed out. 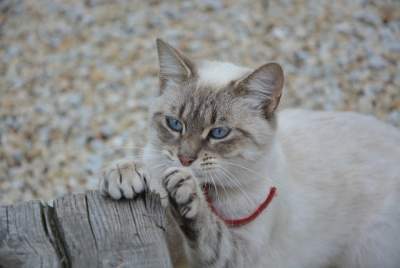 In a multi-cat home, cats also use scratching to mark their territory– both visually and with the scent glands located in their paws. Soft Paws diffusers use a synthetic version of the pheromones cats use to mark places and objects they’ve deemed to be safe and comfortable. Using a Feliway diffuser can effectively trick a cat that is stressed or territorial into feeling happy and content enough to stop scratching. I hope I have answered your question how much does it cost to declaw a cat clearly. If you have found it useful and wish to wish to express your response, please drop them in our comments section. Let your cat claw through happily in a harmless way.